Rujeola, the disease that harvested dozens of children's lives in Romania and Ukraine, seems to have made a residence visa in Ungheni. That, after years and years, when no case of illness was registered, expresul.md writes. According to Sergiu Talmaci, Head of the Transmissible Diseases Epidemiology and Emergency Management Unit at the Ungheni Public Health Center, 20 cases of measles already have been confirmed, all to children. 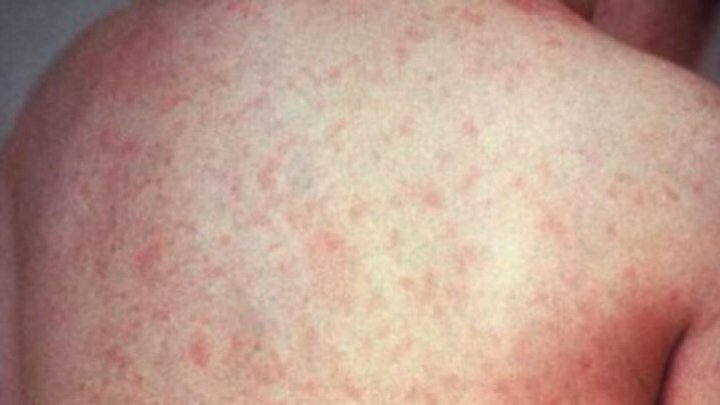 The specialist says that one in five people who develop measles may experience complications such as ear infections and, implicitly, hearing loss, pneumonia, encephalitis, meningitis. There are cases when these complications lead to death. This is why vaccination is required. Parents, however, have different opinions about vaccination. "I am against the vaccination of children because I, as a parent, need to know what the vaccine contains, who produces it, under what conditions it is preserved and how it was transported, which nobody will tell me at present." "We have two children, and we have both vaccinated them. But before that, we've been thinking a long time whether or not to vaccinate them." "The current situation with regard to cases of measles mellitus puts me on guard even if I vaccinated my children." "Children who have not been vaccinated are not admitted to kindergarten," explained Maria Luca, director of Andrieş kindergarten in Ungheni. "Without the prescription of the family doctor, without the stamp and signature, we can not take the children to the kindergarten. Yes, the parent has the right to make the decision not to vaccinate the child, not to trust the vaccines, but the rule is rule for all", she said. Doctors say that there are currently enough doses of measles vaccines in Ungheni and urges unvaccinated people to go to the family doctor for vaccination. Vaccines against measles are given at 12 months, 6-7 years and 15-16 years.